Year after year, WasteExpo is the industry's largest conference and tradeshow of its kind, serving both the public and private sectors. And this year, we’re offering you more. More education: Last year, we successfully added a Composting/Organics Track, a C&D Workshop, a Matchmaking Program, a Show Floor Presentation Theater, and an Investor Summit — and there’s even more to come in 2014. You’ll walk away with actionable insights and useful ideas you can implement right away. 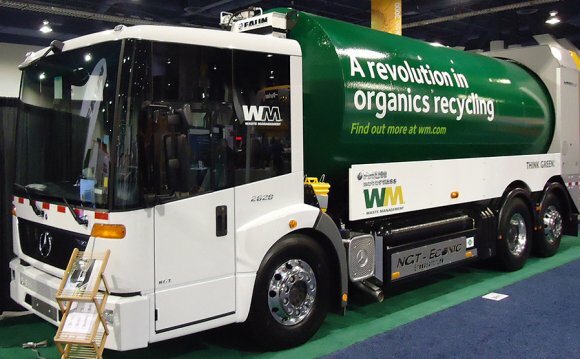 WasteExpo 2014 brings together all the players in the waste, recycling, organics, and sustainability industry. And we don’t want you to miss out! WasteExpo participates in the US Department of Commerce's International Buyer Program and hosts over 1, 400 non-US guests from over 80 countries. Each year, WasteExpo supports the industry by giving back $1.5 million in cash and in-kind services to industry associations and entities like the Environmental Industry Associations (NSWMA/WASTEC) and the Environmental Research and Education Foundation.